The WeDo Robotics program exposes elementary school students to the science and wonder of robotics while developing STEAM skills. CEF funding equipped Concord elementary schools with Lego WeDo Robotic kits that let students explore a series of cross-curricular, theme-based activities while developing skills in science, technology, engineering, art, and mathematics (STEAM) as well as language, literacy and social studies. 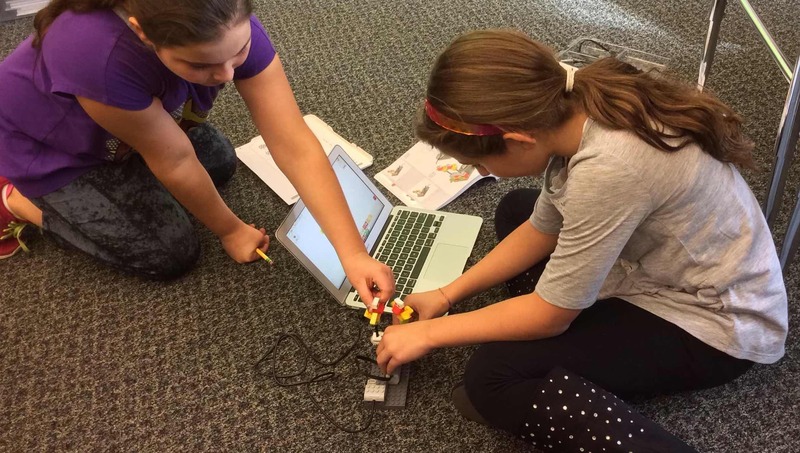 Working in pairs, students use Lego Education WeDo construction sets to design and build a variety of different model robots featuring working gears, levers, pulleys, motors and sensors. The WeDo Robotics program provides kids with the group experience of designing, building, operating and reporting on their mechanical creations – from trash cleanup to handicapped assistance robots!